Preparing for and performing at interview. While always present in Hospital Pharmacy, formality has only entered the Retail Pharmacy recruitment process in recent years. The market where jobseekers now find themselves is an entirely changed one. Previously, employers would be pleased to have 1 candidate for a role; now they will have numerous applications. As a candidate you need to consistently put your best foot forward so as to ensure that you are in the fortunate situation to have an offer to decide upon. Before you begin to think about dressing for the interview or answering questions, you should do your homework. Gather as much information about the employer as possible, this not only eases your nerves, it will ensure you perform at your best on the day, ask relevant questions if given the opportunity to do so, and in turn help you make a decision if offered the job. When interviewing for Pharmacy jobs this is of particular importance- you need to be able to identify for the interviewer why you want this job rather than a job and researching the Pharmacy will allow you to do this. Rehearse both what you will say and but how you will say it. Revise your body language and the way you make eye contact- a mirror will really help. Remember it is often more about your body language and how you say something rather than what you say. Have a relative or friend do an interview with you. Prepare answers to questions such as the following: Tell me a little about yourself? Can you do the job? What are your strengths? How would you do the job? What are your achievements to date? Think about situations in your work history that you can use as examples of an occasion where you worked well in a team, resolved a difficult situation, used your communication skills etc. When answering these questions using the STAR technique will really help structure your answer and give the employer the detail they need. The STAR technique is a 4-step technique to provide all required information on the circumstance. It involves first describing the situation you were in; secondly outlining the task at hand; thirdly explaining the action you took and finally what the result was. 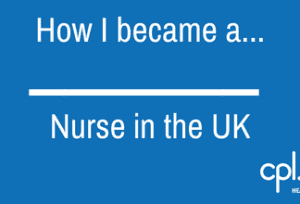 It is vital to be constantly mindful of getting across your specific achievements in a role- what you did. This helps the employer to clearly identify your future role, and be totally convinced of the value you will add to their business. 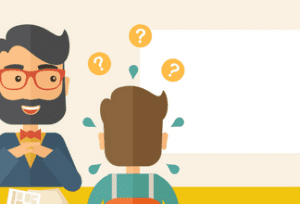 In a lot of instances the interviewee won’t have all the experience the interviewer wants. What you need to do is to reassure the employer that you have the energy, positivity and the attitude to overcome these shortcomings. For example – you may not have experience using their dispensing software but you can reassure the employer that you are very willing to work hard to overcome that. In short, you don’t want the 10% of experience where you are lacking to prevent you from representing fully the 90% you do have. Your appearance is the first thing people notice and ensuring you are properly turned out will guarantee you and your performance is not distracted from. A suit is the best way to go- ensuring a professional image is portrayed. Good grooming is essential- hair should be neat; nails should be clean and tidy. Avoid strong perfume or aftershave. Don’t be late, have sweaty hands, have body odour or have food in your teeth. Let the interviewer set the tone; follow their lead. Do make eye contact, smile and have a relaxed face, resting your hands casually on your lap. Do speak slowly and clearly, pausing slightly before you answer a question- giving you an opportunity to prepare your response. Be enthusiastic, energetic and positive. Even if you have already given your CV to the interviewer take three copies with you (one for the interviewer, one for you and a spare in case the interviewer brings a colleague in to the meeting). Don’t interview the interviewer- 3 to 4 well thought out questions are enough at the end of a session if given the opportunity to ask them. Use this questioning opportunity as a means of demonstrating how you can fill the employer’s needs not what the employer can do for you. Ensure you have two strong and suitable references, and check that they are happy to be contacted. A golden rule is never to bring up money- if the employer asks the question well and good. You don’t want to give an impression that you are totally motivated by money; or an employer will fear that you will jump ship for the next big salary. However you don’t want to sell yourself short so have researched prior to the interview what average salaries are in your field; always giving a range rather than an exact number. Cpl healthcare can offer advice and information on salaries and market trends. If you have gone for a role through a Recruitment Company, call them after the interview telling them how it went and how interested you are-they can then feed this back to the employer and this may help to expedite your position in the process. If you have applied for the role directly send an email that day thanking the interviewer for meeting you, saying how interested you are in the role and working for the company- this may clinch the deal in a head to head race. Following on from that you should generally wait a week or so before you call. If the employer mentioned when you will hear something, wait to call until after that date. Finally if you are not successful ask for feedback from the interviewer- this will allow you to address any areas where you can improve and help you prepare for the next interview. When involved in a process for a job which you decide you don’t want to go further with ensure you handle this professionally. Communicate with your recruitment consultant and/or employer your decision to withdraw from the process, thanking them for their time. 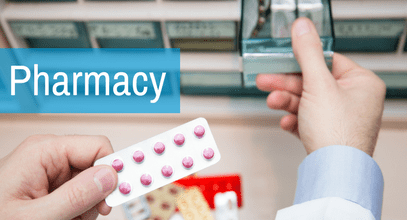 Pharmacy is a small industry; it is important to ensure you always represent yourself in a professional manner, failure to do so could burn bridges that may affect your career going forward. Historically hospital interviews have always been a more formal process, with 3-5 people on the interview panel for permanent appointments. 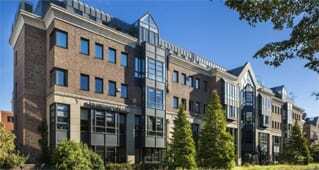 Currently opportunities coming up in hospitals are predominately of a temporary and contract nature and as such are managed by the appointed Recruitment consultancy. 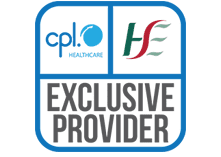 Since March 2011 Cpl Healthcare are the sole and exclusive supplier for Pharmacy staff to all hospitals in Leinster and the majority of hospitals in the Midlands and the South of the country. This means that the manner in which you approach and conduct your relationship with the agency will be of importance in your gaining employment in this area.